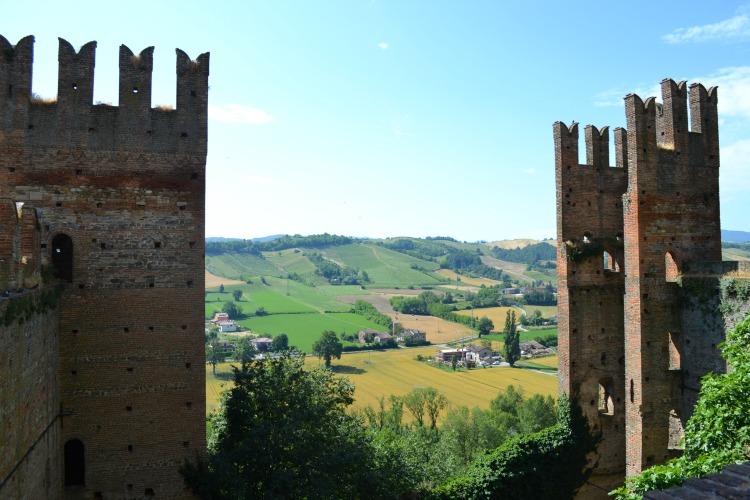 This is Part 2 of my tour around the Duchy of Parma & Piacenza in Emilia-Romagna. Read Part 1 here. On my second day in the Duchy of Parma and Piacenza, after a hearty breakfast, I head to Castell’Arquato, an easy drive along relaxing countryside roads, where I cross more tractors than cars. 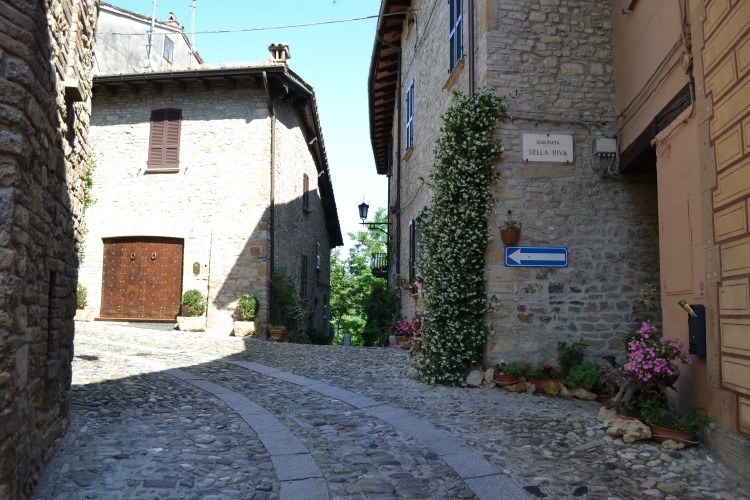 Narrow streets paved in cobblestones lead up to Piazza Municipio, where the three authorities of the Middle Ages – religious, military and political – are represented respectively through the ancient buildings of the Collegiata, the Rocca, and the Palazzo del Podestà. Made of ochre sandstone, the Collegiata dates to 758 and is dedicated to Santa Maria Assunta. The church features Romanesque and Lombard elements. Don’t miss the chapel of Santa Caterina with its beautiful 15th-century frescoes. What remains today are the external walls and the four defensive towers. The structure is dominated by the mastio, the pivot of urban defense and the “surveillance system” of the entire Val d’Arda, with a view encompassing the Po Valley toward Milan and the foothills of the Apennines leading to the sea. In the 14th century, nothing and no-one could have escaped the gaze of those who peered toward the valley below from the top of the Rocca. Make sure you climb up to the top to admire the beautiful view. 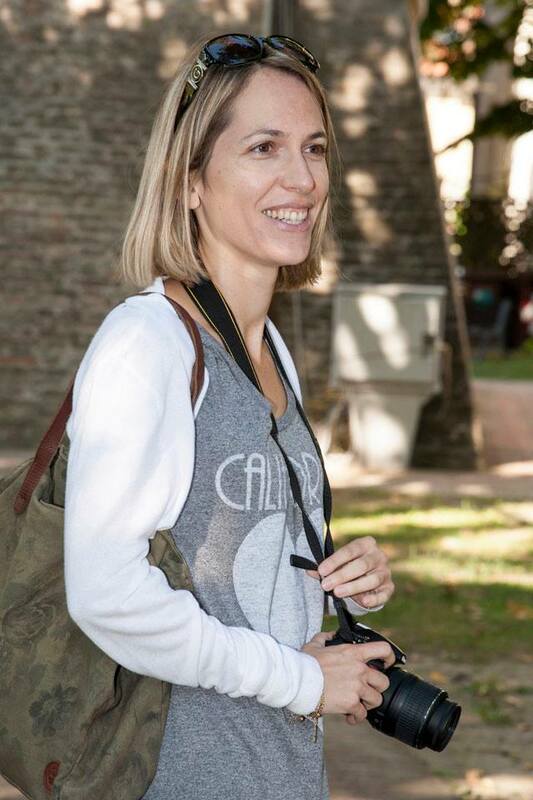 Castell’Arquato offers (like so many places around here – this is Emilia-Romagna after all!) a delicious cuisine of primi piatti (pasta courses), salumi (cold cuts) and local wines. Begin with an appetizer of chisolini, also known as torta fritta (fried dough), accompanied with such cold cut specialties as coppa piacentina, salame piacentino and pancetta piacentina. Among the primi, go for pisarei e fasò, flour and breadcrumbs gnocchetti with beans, lard and tomato sauce, tortelli, or anvei, also known as anolini in brodo, fresh pasta with a filling of Grana Padano, egg, and breadcrumbs in broth. Wash everything down with the local wines: the red Gutturnio and the white Malvasia are fantastic. 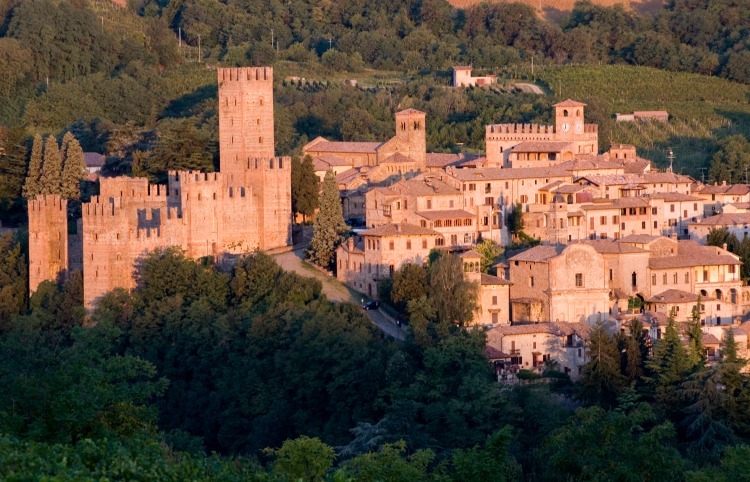 Visit the borgo first, with the Romanesque 12th century church of San Giorgio, surrounded by a small group of houses, the oratory of Santa Maria, and the 16th century fountain in the piazza. The imposing crenellated walls, still well preserved, are covered in part by a scenic walkway, which affords a great view of the village and the Val Stirone. 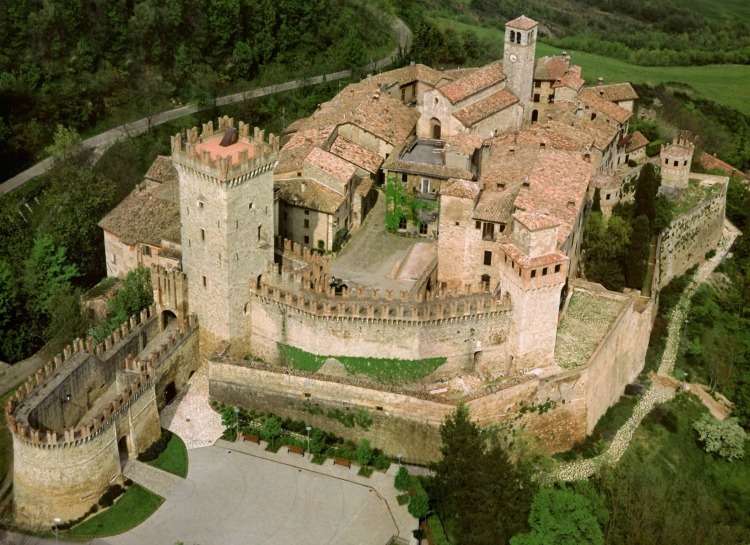 The massive Castle, in a state of perfect preservation, belonged almost continuously to the same family, the Scotti, a noble family from the Piacenza area, from the end of the 14th century until the early 20th century. In the 17th century, the Scotti had made the castle the literary and cultural vanguard of the whole Duchy. The Scotti family sold it in the early 20th century; it was then owned by different families, including a princess, who hosted many parties for the high society; among those who visited and stayed at the castle are Italian poet and writer Gabriele D’Annunzio, actor Douglas Fairbanks, Max Ernst, Jean Cocteau, film star Mary Pickford, writer Elsa Maxwell, and pianist Arthur Rubinstein. The castle was a filming location for the 1985 movie Ladyhawke. 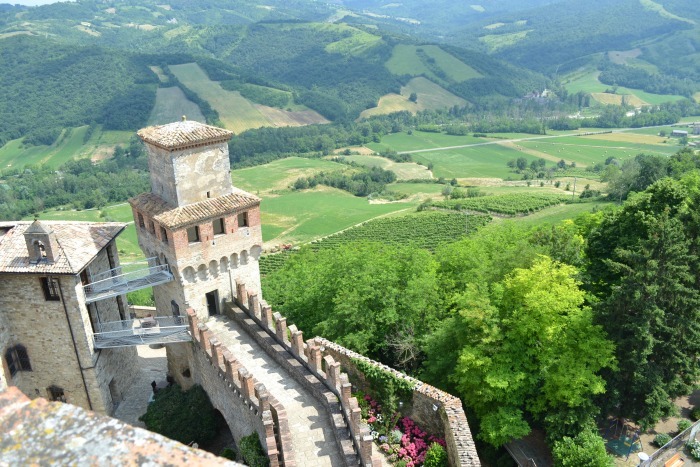 The castle features four levels, which can be visited, and the imposing mastio, which houses museum rooms with historical documents and photographs, and a torture room. On the top level, I linger to admire the lovely view.